Glass Gemstones is a good choice for your jewelry settings, the finished Glass Gemstone can cut as Diamond or Loose Cubic Zirconia Gemstones, but the pricing of it is much cheaper. 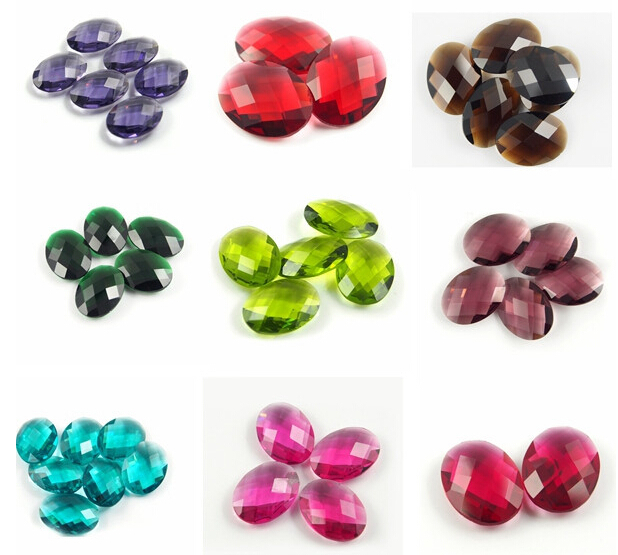 To get the high quality of Loose Glass Gemstones from China Suppliers and wholesalers. We also deal with high quality of Loose Cubic Zirconia Gemstones and Lab Synthetic Gemstones with favorable pricing. 0 Respones to "Double side checkerboard-turtle-face-Glass-Gemstones-Wholesale from China"